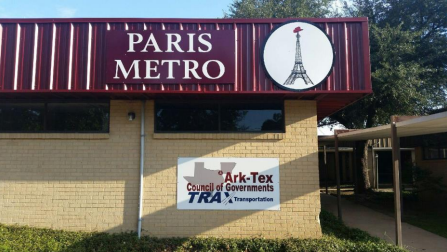 The Ark-Tex Council of Government has honored two employees at Paris Metro and TRAX Transportation for helping to save a person’s life on March 19. A drunken man had been riding the bus all day when he passed out. Instead of leaving the man to sleep it off, Jeff Sykes and Lymon Samas checked on the man and he suddenly began turning blue. Police and EMS arrived and the man was revived and hospitalized.